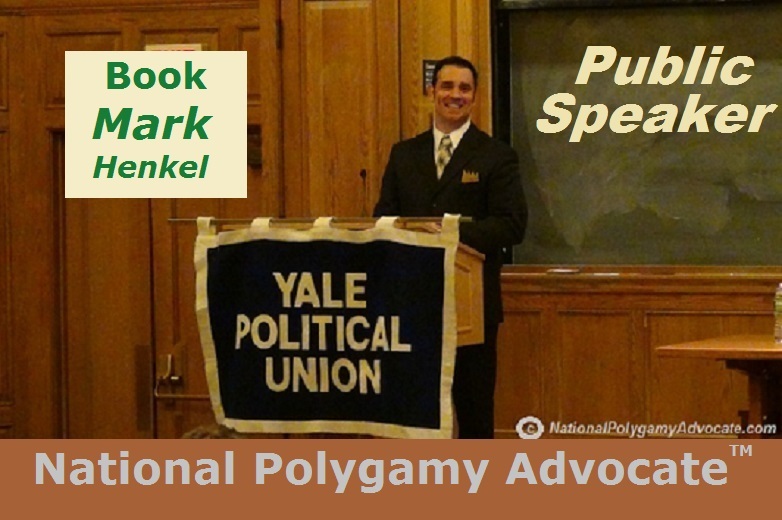 He is also a professional speaker who has given numerous speeches before non-polygamous audiences, including a Keynote Speech at Yale. On Friday the 13th of December, 2013, Federal District Court Judge Clark Waddoups struck down the "cohabits prong" of Utah's 1973 anti-bigamy law, limited the definition of its "purports prong," and thereby de-criminalized de facto polygamy. On December 13, 2013, Judge Clark Waddoups handed down the federal District Court's Decision in the Utah case of Brown v. Buhman. This case had been filed on Wednesday, July 13, 2011, by the TV stars of TLC's polygamy reality show, "Sister Wives." With constitutional attorney Jonathan Turley as legal counsel, Kody Brown, his legally married first wife (Meri), and his three unlicensed wives (Janelle, Christine, and Robyn), sued the State of Utah, asserting that Utah's 1973 anti-bigamy statute was unconstitutional. That the decision was given on a "Friday the 13th" did not go unnoticed. Some irresponsible news outlets even attempted to "scare" their audiences. But contrary to such reports, the Decision did not "legalize polygamy." While de jure polygamy remains criminalized, Judge Waddoups' Decision merely de-criminalized de facto polygamy. To more accurately grasp the Decision, one must first understand the relevant terms. Bigamy is the term used in law – the actual crime. Contrary to popular misunderstanding, it is not limited as a "polygamist with only two spouses." Rather than referring to any such limit, bigamy refers to "secondary marriage." By law, no one is authorized to have any "secondary marriage" – no matter how many "secondary marriages" they have. For example, when a polygamous man with three wives is accused of the crime, he would be charged with two counts of bigamy. The first count of bigamy would be for his first "secondary marriage" to his second wife. The second count would be for his second "secondary marriage" to his third wife. 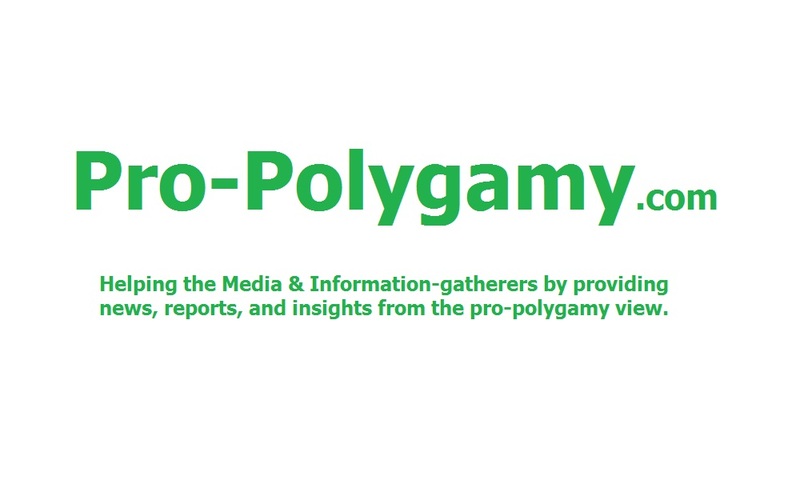 Polygamy is the anthropological term for one gender marrying multiple partners of the opposite gender. Accordingly, polygamy includes both subsets of polygyny (one man married to multiple women) and polyandry (one woman married to multiple men). Unlike polygamy, however, group marriage refers to any configuration of genders married together and polyamory refers to any configuration of relationships as the multiple participants self-define (with or without marital commitment). Having only non-monogamy in common, laws affecting polygamy also affect group marriage and polyamory. With the difference between the legal term of bigamy and the anthropological term of polygamy understood, one can more easily understand the equally important difference between de jure polygamy versus de facto polygamy. In legal terminology, de jure means by law (as in, being lawful and legitimized), while de facto means factually existing (but not by law). Hence, de jure polygamy refers to bigamy involving multiple government marriage licenses (i.e., marriages legitimized by law). Conversely, de facto polygamy refers to plural marriages that involve no more than only one legal government marriage license to only one spouse (as legally allowed and recognized). Most practicing polygamists (in Utah, around the United States, and beyond) neither seek nor obtain government marriage licenses for any more than one wife. Accordingly, as their additional marriages are not "legitimized" by any government marriage license, such plural families are simply de facto polygamists – including the Brown family. Any polygamist who seeks to obtain such a government marriage license for any spouse beyond the first legally married wife is seeking to have their marriage legitimized by law. Doing so is understood as de jure polygamy. 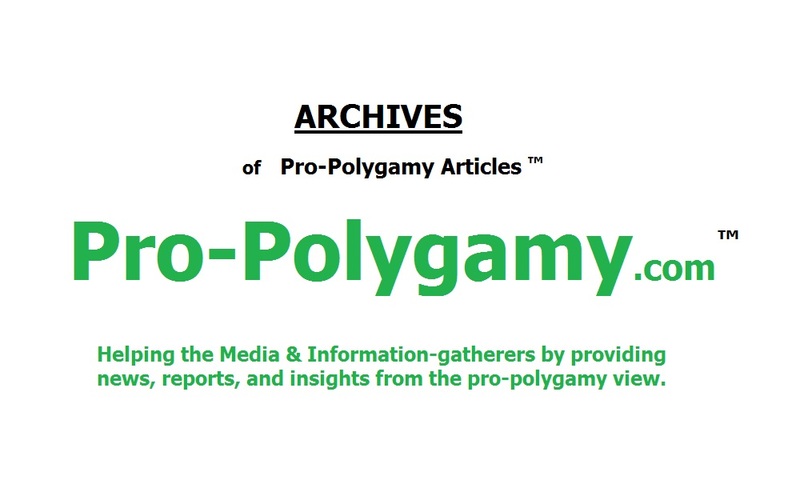 Unlike the honest polygamy of consensual de facto polygamists wherein all the unrelated adults freely consent to the plural marriages, the real-world occurrences of de jure polygamy are mostly limited to what is known as "dishonest bigamy." Indeed, "dishonest bigamy" refers to someone who secretly marries multiple spouses in different locations (including with full government marriage licenses) wherein none of the spouses even know of each other. Adamantly opposing the deceitfully misrepresentative aspect of such "dishonest bigamy," the freely consenting adults in most examples of de facto polygamy emphatically agree with society having a law that sanctions a legal punishment against such cruel fraud. With the foregoing understood, the Brown v. Buhman Decision very clearly did not "legalize polygamy." At the end of Footnote 6 on Page 9 of the Decision, the Judge quite directly declared, "the court indeed concludes... that there is no 'fundamental right' of individuals to enjoy official State recognition or legitimation of their 'purported' polygamous marriages." Explicitly, the decision did not "legalize" any right to government-recognized or government-licensed de jure polygamy. Judge Waddoups then clarified that the reason that he found no "fundamental right" to de jure polygamy was "substantively on Due Process grounds based on a Glucksberg analysis rather than based on the type of 'social harm' implied in Reynolds under that decision's narrow Free Exercise analysis." In other words, in this unexpectedly positive and serendipitous explanation, Judge Waddoups' Decision to still deny an existence of a "fundamental right" to de jure polygamy was overtly explained that it was not based on any maligning assertions of a supposed "harm to society" from polygamy. Thereby rejecting the anti-polygamists' assertion that polygamy causes any supposed "harm to society," the Judge then proceeded to effectively de-criminalize de facto polygamy. On Page 25 of Judge Waddoups' Decision, Utah's 1973 bigamy statute at issue was originally codified as follows: "[a] person is guilty of bigamy when, knowing he has a husband or wife or knowing the other person has a husband or wife, the person purports to marry another person or cohabits with another person." Judge Waddoups struck down the last five words, which he identified as the "cohabits prong." In his analysis, Waddoups recognized that cohabitation outside of polygamy is never otherwise prosecuted as a crime in modern society. His analysis observed the "commonplace occurrence of adulterous cohabitation in contemporary society" and "the complete lack of prosecution for adultery or fornication." (Page 65.) He observed that the "cohabits prong" was only used as a government tool to re-define religious de facto polygamists as being officially "married" when government did not equally re-define other unlicensed persons as "married" for any other crimes, to exploit for prosecutorial "fishing" investigations for other not-yet-determined charges, and to trump up additional sentence-lengths after other actually-convicted crimes. If choosing to appeal this Decision, the Utah Attorney General has until January 16, 2014, to file it in the federal Court of Appeals for the Tenth Circuit in Denver, Colorado. Whoever loses in that subsequent appeals court may then bring a final appeal to the Supreme Court of the United States (SCOTUS). Ergo, for every irresponsible media trying to "scare" their audiences about this "Friday the 13th" Decision, the facts show that there is nothing to fear. Brown v. Buhman did not "legalize polygamy." Marriage in Utah can only be legally defined by actual government marriage licenses. De jure polygamy is still a crime. Only de facto polygamy is de-criminalized. And, unfortunately, whether on appeal or by SCOTUS, the case could still be overturned, wiping out the possible precedent. But unless or until that happens, both the Brown family and other unrelated consenting adult polygamists in Utah can breathe a little more easily. For now, de facto polygamy has been de-criminalized.